This beautiful event was held at a grass. 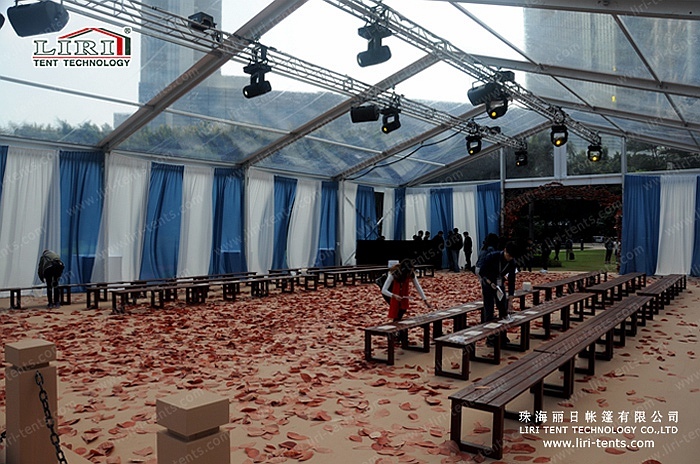 The location was the perfect for the event 15x25m tent that we custom draped and installed for this event. The style of the event was classic elegance mixed with clear top. Along with the curtains, we hang lighting system on the roof beam as well as the ceremony and looked stunning with the background. 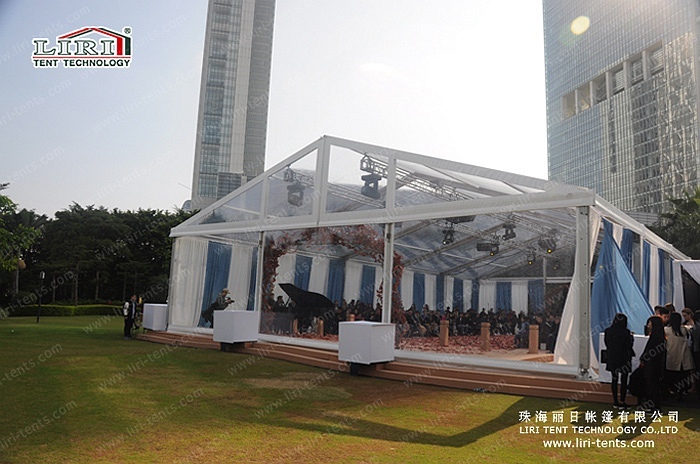 Our event tents are available from 10 to 18 meter width and length can be extended by 5 m bay which is suitable for different guest capacity. What’s more, different accessories are optional like lining , curtains, tables, chairs, etc.